Can ten weeks intervention with exergames contribute to better subjective vitality and physical health? The purpose of the study was to investigate the effect of exergames «Wii Nintendo Sports» on psychological and physiological parameters of young adults. In the present study, twenty (N = 20) students of the School of Physical Education and Sport Sciences of Democritus University of Thrace aged from 20 to 25 years old volunteered. The participants were randomly divided into two groups, the experimental (N = 10) and control group (N = 10). The experimental group used as a training method the exergames «Wii Nintendo Sports», while the control group did not participate in any training program. The experimental group participated in a 10 weeks pilot study of Nintendo’s Wii sports, with three 30 min sessions a week. Subjective vitality, body weight, body mass index, maximum oxygen uptake and maximum heart rate of the participants were examined, before and after the intervention program. 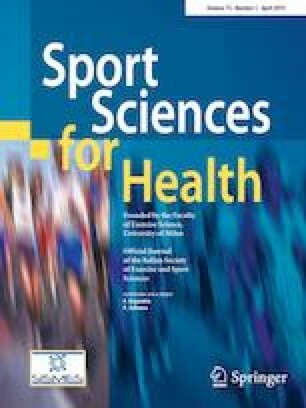 Results of the present study revealed that exergames did not affect the participants’ body weight, body mass index, maximum oxygen uptake and maximum heart rate. On the contrary, it was found that only the experimental group achieved a significantly better subjective vitality, between the pre- and post-test. In conclusion, exergames are effective tools for achieving a better subjective vitality in young adults. All procedures performed were in accordance with the ethical standards of the institutional and the Helsinki Declaration. All of the subjects sign the consent form.